nedus is the e-learning product of netkey. It offers a simple way for providing online learning content and tests to your users. It has a frontend that lets users access the learning content and take tests as well as a straightforward backend where they are created and managed by authors and administrators. 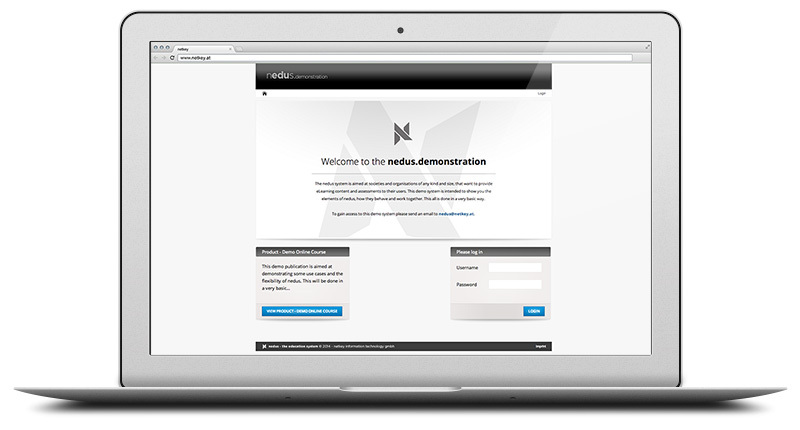 This means that clients can maintain their nedus system simply through a web browser and do not need to install any local software. Learning content, tests etc. can be changed, published or withdrawn at any time without help from netkey.